MOSCOW (AP) -- A Moscow court has ordered a U.S. investment fund manager to be jailed for two months while facing fraud charges. Michael Calvey, founder and senior partner at Baring Vostok equity firm, was detained Friday morning along with two other fund managers. Prosecutors say Calvey is suspected of embezzling 2.5 billion rubles ($37 million) from Vostochny Bank, where Baring Vostok has a controlling stake. 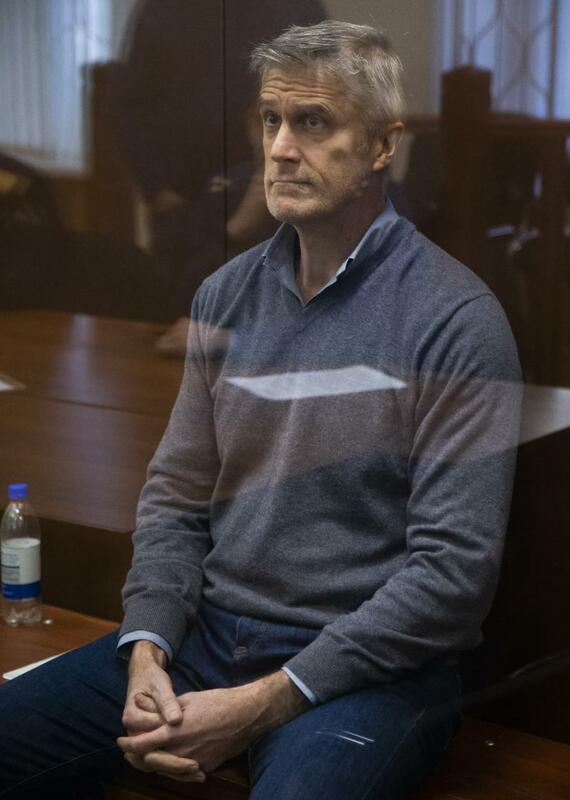 But Calvey said during his court appearance Saturday that the charges against him are likely connected to an arbitration case that Baring Vostok initiated against some Vostochny Bank shareholders. Calvey has worked for years in Russia and invested heavily in the country's technology sector, including in the web search company Yandex.